What Size Is A Youth Soccer Ball? 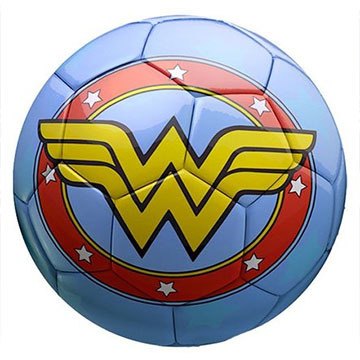 You're wondering what size is a youth soccer ball and what size you need for your child. Here are the sizes for youth soccer balls. A size 5 is for 13 year olds and up. A size 4 youth soccer ball is for 8-12 year old players. A size 3 soccer ball is for under 8 year olds. This post will help you how figure how big of a soccer ball your child should play with. You can get a real good idea of what size the balls are by looking at the actual dimensions and weight of each youth soccer ball. 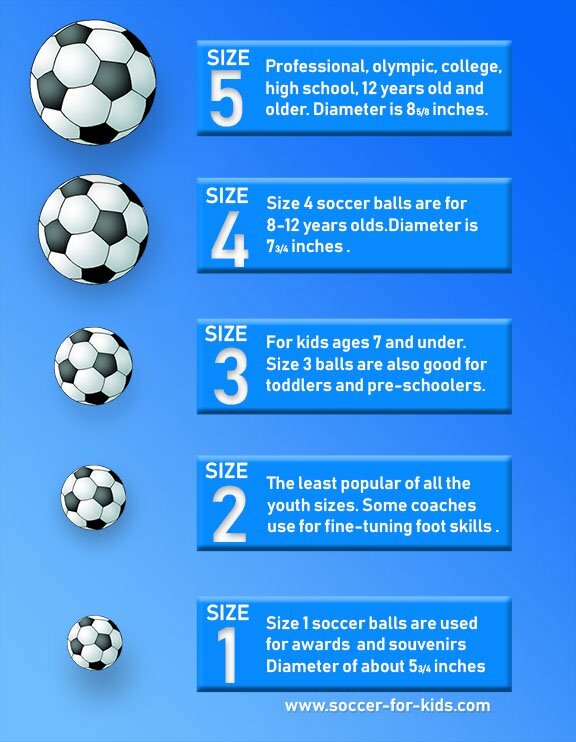 There are actual 5 different youth soccer ball sizes in total. 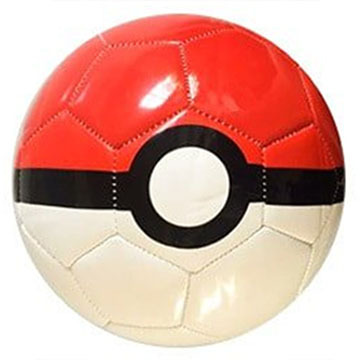 Three of the soccer ball sizes are used in actual games. They are size 3, size 4, and size 5 balls. Take a quick look at this soccer ball size chart. When I did the research for this article it struck me as quite odd that soccer ball sizes are described in terms of circumference. I've been involved in coaching youth soccer at various age levels for over 23 years, but have never been heavily involved with soccer equipment. I don't understand why soccer ball circumferences are used to compare sizes and not diameters. Here are the best soccer ball sizes, expressed as "Under-Age." As an example U-12 is the abbreviation for under 12 years old. Here are the youth soccer ball sizes, the corresponding age brackets, and their respective weights and sizes in circumference. ***U-8, U-7, U-6, and younger. Size 3 is the official soccer ball for toddlers and young children. It has a circumference of 23-24 inches and should weight between 11-12 ounce. Size 3 is the smallest official ball for playing actual games. ***U-9, U-10, U-11 & U-12. Size 4 is the standard soccer ball for kids aged between nine and 11 years old. It has a circumference of 25-26 inches and a weight of 11-13 ounces. ***U-13 and older. The regulation size soccer ball, size 5, is played by youth players when they reach the age of 12. Size 5 is also the sized used for all professional soccer leagues and tournaments all over the world. Circumference is 27-28 inches and and the weight is between 14-16 ounces. *** Note that different leagues may have different birthday cut-off dates. You should ask one of your knowledgeable league representatives what age bracket your child will be placed in. 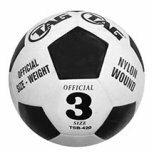 If you compare the different circumference sizes it appears that there is very little difference between these 3 soccer ball sizes. Surprisingly, there is a big difference with respect on how the ball behaves among the different sizes. Despite the seemingly close mathematical measurements, it is important for your child to play with the appropriately sized ball. Your child will have more fun and will develop their soccer skill set better with the right size of youth soccer ball. Most balls are fairly well marked with their size, but if you want to find out for sure, you're in luck. 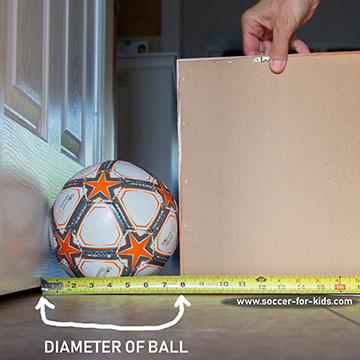 There is a way you can actually measure the size of a youth soccer ball to see if it is the right size for your child. The best method is to measure the diameter of your child's ball and then calculate. Fully inflate your child's soccer ball and then follow the simple 3 step method. 1. Place your ball on the floor against a closed door and press a picture frame (or other 90 degree angle object) up against the opposite side of the ball. 2. Measure the distance from the door to the bottom of the picture frame . That measurement equals the diameter of your soccer ball. 3. Multiply the diameter by 3.14 to get the circumference of your child's soccer ball. WHY do NEW SOCCER BALLS ALWAYS SEEM SMALLer than used soccer balls? Newer soccer balls seem smaller because they actually are. When a ball is kicked, pressure causes the threads to pull against the outside material covering on the ball. With repeated kicks or hits, the soccer ball will expand slightly. Depending on the quality of the ball, it's been estimated that older soccer balls can be up to 20% larger than the same ball when it was new. Older soccer balls stretch as they wear. 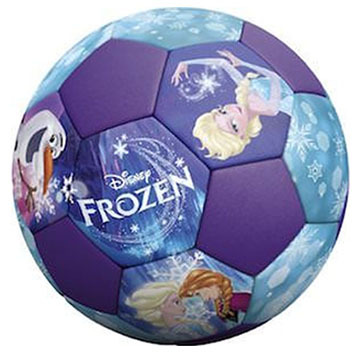 For youth soccer, this isn't a big deal, but technically it could exceed FIFA's required ball specifications. In official soccer tournaments, regulations require that new balls are used for the games, but in everyday practices for youth soccer, older balls are fine to use. how does the size of a youth soccer ball compare with other sports balls? 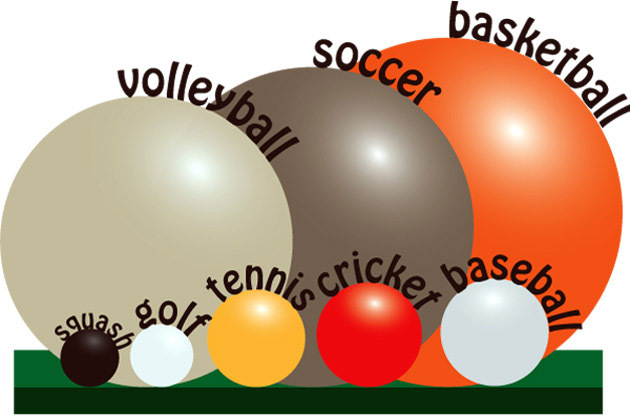 To give you an idea on how the largest of the youths soccer balls compares with the balls from other sports, I grabbed this illustration from www.topendsports.com. You can see that the closet ball in size to a size 5 soccer ball is a volleyball. Image from www.topendsports.com. 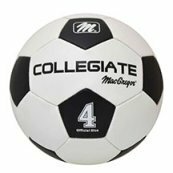 Soccer Ball is Size 5.
what's the right air pressure for a youth soccer ball? The answer if 8.7 PSI (pounds per square inch). That's the "precise" answer to how much air pressure should be in your child's soccer ball. That's from the official soccer ball specification rules. You can measure it with a pressure gauge if you need an exact amount. In almost 25 years of coaching youth soccer I've never used a pressure gauge to measure the pressure in a soccer ball. Here's more of a practical answer. A higher pressure will make the ball skin tighter and the ball will be faster in bouncing higher and farther and is harder to control. Less air pressure will cause the ball to slow down and is easier to control. 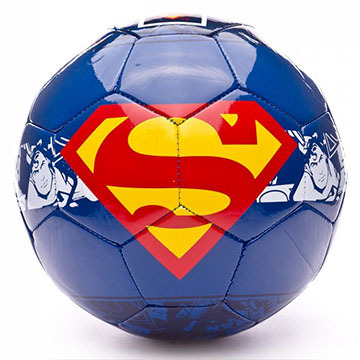 Soccer balls for young children can be inflated to the needs of the situation. Air pressure can be chosen based on the player's skill level, field conditions, and yes, the weather. 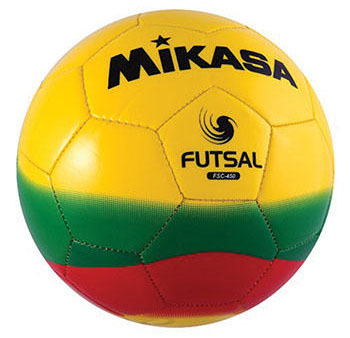 Futsal generally uses a size 4 ball, the same size that is used for 8-12 year olds in regular soccer. By contrast, the ball is made out of a different material and may be filled with foam to make it have less bounce to it. Futsal is played 5 players a side either indoor or carpet or on an Astroturf type of perfectly flat soccer field. A FIFA approved Futsal ball has to have a circumference size of 24.61-25.0 inches. We just covered the size of futsal soccer balls, but what about other specialty soccer ball sizes ? In addition to regular soccer played on grass surfaces, there are a number of unique variations to playing soccer. Beach soccer. 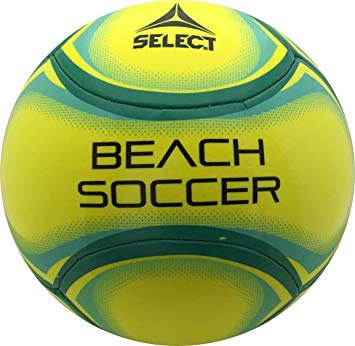 The ball used in official beach soccer games is a size 5 but is slightly lighter, 14-15½ ounces. It is often brightly colored to make it more visible on a sandy playing ground. Indoor soccer. 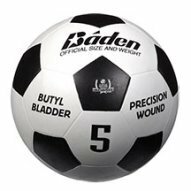 Like in futsal, the ball size for indoor soccer is number 4. It's covered with felt or suede. 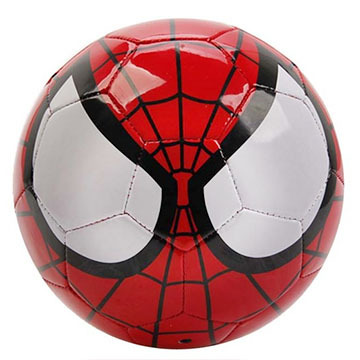 However, indoor soccer balls are typically bouncier than they are in futsal. Five-a-side soccer. 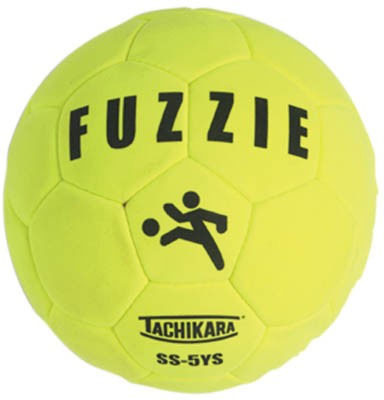 Five-v-five soccer, or even if you played seven-v-seven, is played with slightly different rules from regular soccer but it is still played with the standard soccer ball, size 5. If you'd like another way to get a perspective on the different sizes of youth soccer balls you can watch this short video produced by DICKSTM Sporting Goods. Interestingly, they skipped over size 2 soccer balls. Perhaps it's because they don't sell that size? In all the years I've coached youth soccer, I haven't found any benefit to using soccer balls that are smaller than a size 3. At one time, I owned a franchise that specialized in kids ages 2 through 6, with several hundred kids participating every season. Anything less than a size 3 ball was too difficult to control, particularly on a regular grass surface. The exception to this is the older kids with advanced skills. They will benefit from fine-tuning their ball skills by juggling and dribbling size 2 balls. “FIFA Inspected” soccer balls usually are more expensive, so you can consider using them only for match play. The decrease in size that comes along with a size 4 ball versus a size 5 has benefits. It allows the younger age group to get accustomed to their skill set. Players in this U-13 may find it difficult to practice their ball skills and dribbling technique if they use a size 5 ball. 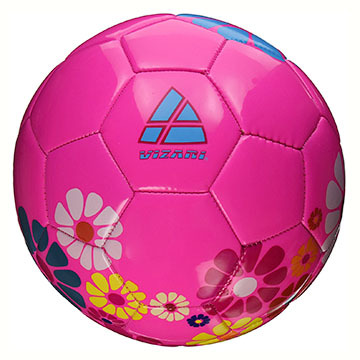 A size 3 soccer ball is typically best suited for children ages 8 or younger. 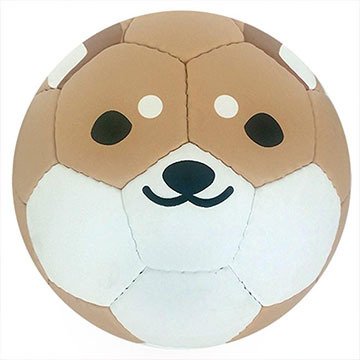 Measuring 23″-24″ in circumference and weighing roughly 300-320 grams, this soccer ball size is the smallest that you’ll see in competitive play. This small youth ball is a great option because it encourages proper ball handling for youngsters and is properly proportioned to most kids at this age group. Size 1 balls, the soft cushiony type are great toys for toddlers. The only problem is that toddlers will use their hands before their feet because they are so easy and enjoyable to grasp and throw. That brings us to an important issue. Kids will naturally want to use their hands on a soccer ball. If you think about it, it really is understandable and you shouldn't get too upset when your toddler or preschooler is using their hands rather than kicking the soccer ball. After all, kids develop fine motor skills far faster with their hands than their feet. 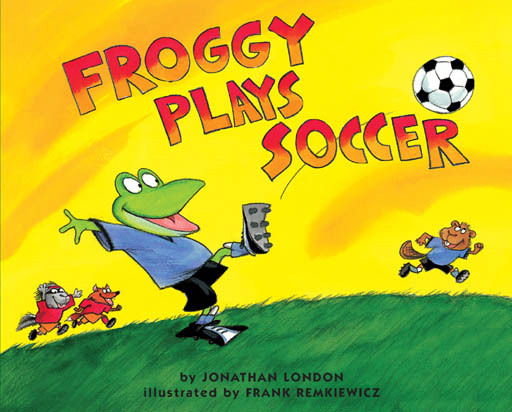 Yes, you can remind them, but another way I've found successful is to read them a story called "Froggy Plays Soccer." I've used it at least once every soccer season when bad weather has prevented us from running one of our preschool sessions outdoors. It's a cute story, appropriate for kids ages 7 and under, and it's simple to read and well illustrated. To accelerate the kids learning curve, I'll have the kids repeat out loud some of the messages in the book each time they appear. This includes say: "And don't use your hands." 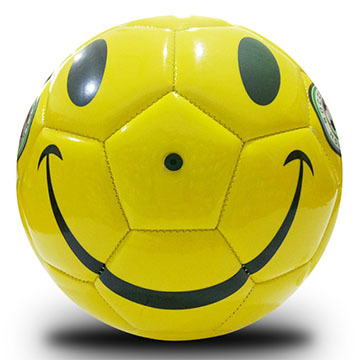 It has helped a lot in getting the kids using their feet on their favorite sized soccer ball rather than their hands . What kind of soccer balls do kids like? Here's a few that are sure to tickle your kids fancy. How about you? If you were playing youth soccer, which soccer ball would you pick? If this article titled "What Size Is A Youth Soccer Ball" was helpful to you, please share with a friend. How about what size goal your child should be using? Soccer net size is just as important as the correct size for your child's soccer ball. This article has everything thing you need to know about soccer goal dimensions and more.